When you’re building a million-dollar home, you have to think of creative ways to turn that build into one that is like no other. After all, it’s a million-dollar home and it has to look like it! The challenge then becomes how to build a luxury home that a buyer would actually pay a million dollars for. Thinking you’ve got a million dollar home and what the realtor estimates it for are two different things. What Makes a Million Dollar Home a Million Dollars? So what are the types of things that make a luxury home worth a million dollars? Aside from location, it’s going to be the dwelling—and if it’s a brand new build, realtors are going to look at the comparisons, but then look closely at the details of the build, like what kind of materials were used for the finishings of the home. They recognize the standard doorknobs or sink fixtures from the more expensive and unique ones and account for that when determining the value of a home. So when you choose to incorporate luxury thresholds, realtors take notice because it’s something that not necessarily found in standard homes. Luxury means better quality, and people looking for luxury are willing to pay for it. So, what says luxury better than being ushered into your own home on a bed of beautiful marble tile? Thresholds are typically just a 2-inch strip installed at the bottom of a doorway. Much like window sills, thresholds are often needed to brace the doorway and keep water and other elements like wind, loose twigs and leaves out. They’re also needed to keep cold from creeping out—keeping the cooling bill down during the summer months and preventing warm air from escaping during the winter months. If it weren’t for thresholds, a considerable amount of air will escape, causing the owner’s electric or heating bill to go up. You’ll be surprised at how much of a difference a marble threshold can make to a space. Buyers take notice and appreciate these things, especially since it’s something they won’t have to worry about replacing for years to come. The more of a maintenance-free home you can provide to buyers, the more they’ll appreciate the thoughtfulness of such a quality expense you’ve invested into their potential new home. 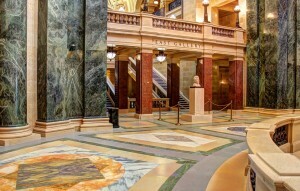 Marble thresholds aren’t just for exterior doors, they’re also excellent for interior transitions. Because the height varies, marble thresholds are perfect for leveling out floors due to an uneven transition from one space to another. For most luxury homes, in particular—the modern builds, the transition between rooms are quite large as the open concept is what’s trending. Think of those transitions between the living room and the dining room. Those openings can sometimes be 12” thick. You can just think of those as huge doorways. And for every doorway, a nice threshold will come in quite handy! 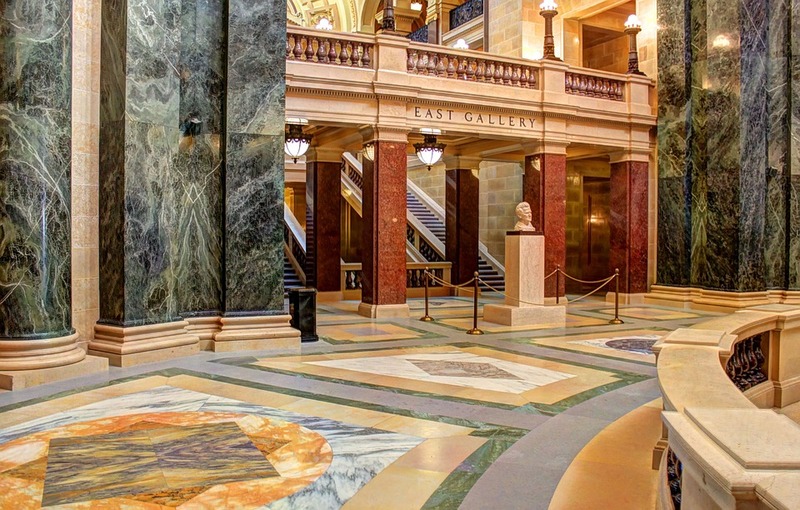 In cases like this, you’d need to custom order your marble threshold, but if you’re in the business of building luxury million-dollar homes, you already know that most, if not all of the material needed to build such a dwelling is custom. With Stonexchange, a marble threshold wholesale manufacturing company, you’ll need to allow at least 2-3 months of lead time to extract the marble from our quarries overseas, cut it to your requested length, and ship it to our port in Miami, Florida. So, if you know that you’ll be taking on a luxury home project that’s going to be worth a million dollars, then you need to plan months in advance for your custom marble thresholds. Buyers will appreciate that their luxury materials had to be shipped from overseas! Marble thresholds come in three different styles: the Standard Double Bevel, Single Hollywood Bevel, and the Double Hollywood Bevel. For luxury homes, the Standard Double Bevel is the preferred choice because of it’s symmetrical block shape with ¼” bevel edges. Depending on the size, they can be used for all doors and room transitions. But if for some reason, your design includes an uneven floor transition, then consider stocking some of the Hollywood Bevel Thresholds. The Hollywood Bevel Threshold, also known as the handicapped bevel, is required for public dwellings to meet ADA requirements. However, they certainly can offer its usefulness toward luxury home builds as well. The Hollywood Bevel makes it easier to roll carts, trays, gurneys, and wheelchairs from one room to the next without tripping, falling down, and injuring yourself. This is perfect for buyers who might have a family member who requires special needs or any type of home care. It’s also perfect for catering events. Vendors will be able to transport food, decorations, and other items around the home safely. Marble thresholds are available in beautifully striking tones and color variations that can be purchased in bulk from Stonexchange. The great advantage of getting your supply of marble thresholds from Stonexchange is that you’ll never run out of inventory. We have a steady amount of marble thresholds shipped in on a monthly basis for our standard size inventory. We also have thresholds available in travertine. View our full selection of natural stone thresholds here. If you have any questions about any possible discounts or shipping inquires, contact us online or call us directly at 305-731-2400.